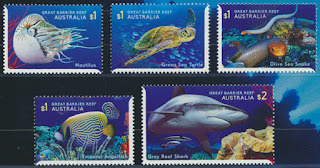 Hello, continuing with the Australia theme; what do you think of this miniature sheet? Nice little "oddity" lets call it, for a collection. Hello, I hope you enjoy this set. One I picked up in Australia last week. Very deep blues that is for sure. 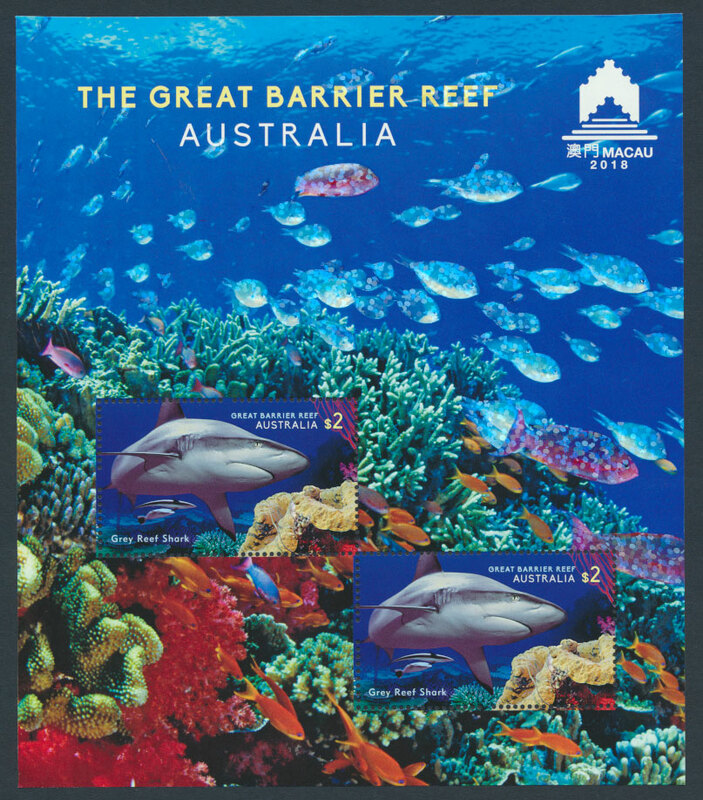 It features images from the Great Barrier Reef and Great Barrier Reef Marine Park. 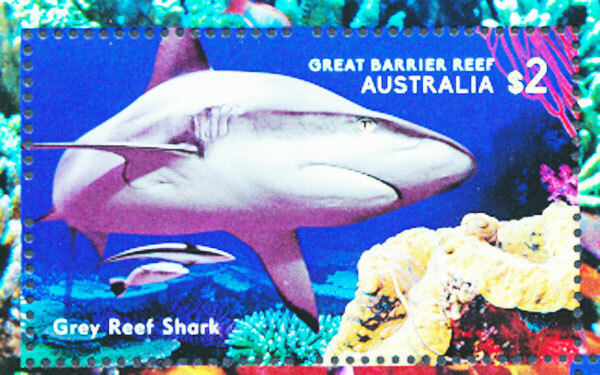 Something I didn't know was that the Marine Park comprises more than 2900 individual reefs and 900 islands. I have been but I must have missed remembering this from the tour. The presentation card provides a very interesting write up about the Reef, including the fact that there are 600 types of coral, more than 100 species of jellyfish, 3000 varieties of molluscs, 500 worm species, 1600 types of fish, 133 species of sharks and rays and more than 300 species of whales and dolphins.